Steve Lupin is the Managing Partner of Hamburg, Rubin, Mullin, Maxwell & Lupin and was named by the Montgomery County Trial Lawyers as the 2012 James P. Fox Trial Lawyer of the Year. Steve is a past President of the Montgomery Bar Association (2010) and is a past President of the Montgomery Bar Foundation (2012-2015), where he is a life fellow and member of the Stefan and Taxis circles. He currently serves as Vice President of the Montgomery Bar Foundation. Steve is experienced in almost every aspect of personal injury, business and commercial litigation. With regard to personal injury, he has represented clients in motor vehicle accidents (car, truck and motorcycle), medical malpractice and products cases. In commercial litigation, he has rebuffed the challenge of the constitutionality of the Montgomery County Personal Property Tax Law (the Annenberg case) and has been in the forefront of obtaining a reduction of the equivalent dwelling unit as established by the Montgomery County Sewer Authority. Steve has represented many condominium associations involved in litigation, recently obtaining a significant settlement safeguarding a condominium association’s ownership of a clubhouse and all community amenities. A partner with Hamburg Rubin since April 1981, Steve has vast experience in preparing and trying complex, high stakes cases and bet-the-house commercial litigation. In addition, he has teamed effectively with lawyers of prominent national firms, including Arnold & Porter, Schuyler, Roche & Crisham, Carella, Byrne, Cecchi, Olstein, Brody and Agnello, and others, to prepare commercial and business litigation cases for trial in Federal and State courts. As a result of his many accomplishments, he has been named to the Pennsylvania Super Lawyers List for the years 2005-2018 and as a Super Lawyer in the Corporate Counsel Edition for the years 2008-2014. 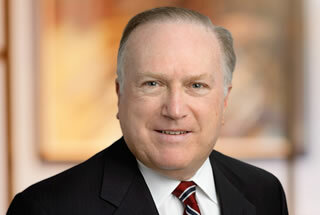 Steve has served as President of the Montgomery County Trial Lawyers Association. He is a long-time member of the Board of Governors of the Pennsylvania Association for Justice (formerly Pennsylvania Trial Lawyers Association), and for the last thirteen years has authored a regular Commercial Litigation column in the PAJustice News. Steve has been twice appointed a Zone 9 Delegate to the Pennsylvania Bar Association’s House of Delegates. Recently, Steve was presented with the Montgomery Bar Association’s Henry Stuckert Miller Public Service Award. Steve is an active member and Past President of the Montgomery American Inn of Court. A graduate of Temple University School of Law (J.D. 1973), Steve received his undergraduate degree from the Pennsylvania State University (B.A. 1970). Steve is a Senior Fellow of the Litigation Counsel of America, an invitation-only trial lawyer honorary society whose purpose is to recognize deserving, experienced, and highly qualified lawyers. Membership is limited to 3,500 Fellows, representing less than one-half of one percent of American lawyers. Members are selected and invited into Fellowship after being evaluated on effectiveness and accomplishment in litigation and trial work, along with ethical reputation. He was selected by his peers for inclusion in Best Lawyers in America for the years 2013-2019. Hamburg, Rubin, Mullin, Maxwell & Lupin has been selected as a “Best Law Firm” for the years 2015-2018 by U.S. News and World Report. Best Lawyers® is the oldest and most respected peer-review publication in the legal profession. A listing in Best Lawyers is widely regarded by both clients and legal professionals as a significant honor, conferred on a lawyer by his or her peers. For more than three decades, Best Lawyers® lists have earned the respect of the profession, the media, and the public, as the most reliable, unbiased source of legal referrals anywhere. Steve was selected to the 2016, 2017, and 2018 lists as a member of the Nation’s Top One Percent by the National Association of Distinguished Counsel. NADC is an organization dedicated to promoting the highest standards of legal excellence. Its mission is to objectively recognize the attorneys who elevate the standards of the Bar and provide a benchmark for other lawyers to emulate. December 2017; “Banks v. Cooper – Whether a judgment of non pros should be opened and plaintiff permitted their day in court?” Published in PA Justice News. October 2017; “Are In-House Counsel Fees Recoverable Under a Contractual Provision Allowing Lenders’ Recovery of Counsel Fees?” Published in PA Justice News. August 2017; “Whether a release could bar claims which had not yet accrued as of the time the release was executed?” Published in PA Justice News. May 2017; “Funding Litigation Hits a Road Block” Published in PA Justice News. October 2016; “Commercial Litigation: Telwell, Inc. v. Grandbridge Real Estate Capital, LLC” Published in PA Justice News. Notwithstanding the previous dismissal of the plaintiff’s tort claims under the Gist of the Action Doctrine because the case sounds in contract, plaintiff must still establish the contractual relationship in order to sustain its contractual claims. June 2016; “Commercial Litigation – Wakeley v. Brunner – Whether a plaintiff could overcome the presumption of at-will employment, where she specifically executed a “confirmation” as an employee.” Published in PA Justice News. March 2016; “Commercial Litigation – Creditone, LLC v. Schofield, Discussion of Pennsylvania Rule of Civil Procedure 1311.1″ Published in PA Justice News. August 2015; “Change of Heart Over Settlement Agreement” published in Western PA Trial Lawyers Association’s The Advocate. Originally published in PA Justice News, the article was reprinted with permission of Steve Lupin and the Pennsylvania Association for Justice. June 2015; “Buyer’s Remorse – Absent Fraud It is Difficult for a Client to Overturn a Settlement” Published in PA Justice News. March 2015; “Whether the Attorney-Client Privilege Survives a Dissolution of a Corporate Client.” Published in PA Justice News. December 2014; “Standing – The Real Party in Interest.” Published in PA Justice News. Twelve year columnist on Commercial Litigation for publication of the Pennsylvania Association for Justice (formerly Pennsylvania Trial Lawyers Association). Author, Allocating Wrongful Death and Survival Awards, Legal Intelligencer. Lecturer, Allocating Wrongful Death and Survival Awards, Montgomery Bar Association. Named to the Pennsylvania Super Lawyers list 2005-2018. No more than five percent of the lawyers in the state are selected by Super Lawyers each year. Steve is an alumnus of Penn State University and is actively supporting the Liberal Arts College. The Lupins established the Lupin Family Trustee Scholarship Program. Steve is an avid fan of the Philadelphia Phillies and Penn State football and participates regularly in biking and a twice-a-week tennis doubles group. Steve’s wife, Linda, is the owner and operator of The Paper Umbrella, a boutique business which provides invitations and accessories for social events. Steve is the proud father of Ben, who is a Senior Regulatory Advisor at Towers Watson in Philadelphia, and Elyse, who is President of Elysium Marketing Group, LLC (www.elysiummg.com). Steve and Linda are also very proud of their grandchildren, Ari, Max and Henry Lupin, and Gavin and Sydney Chang. Successfully represented Montgomery County in the case of Walter H. Annenberg et al. v. Board of Commissioners of Montgomery County, Pennsylvania, United States Supreme Court No. 00-343, in which Walter Annenberg challenged the constitutionality of the Montgomery County Personal Property Tax Law. Successfully represented Montgomery County, Commissioner Mario Mele, Commissioner Jon Fox, Commissioner Joe Hoeffel, and the Northern and Western Waste System Authorities in litigation brought by Waste Management of Pennsylvania, Inc., which resulted in the collection of $5M for the County. Successfully represented a developer in a four-year battle over ownership of a multi-million dollar sewage treatment plant. Successfully represented a client seeking to expand its landfill onto an adjacent 133-acre farm, taking the case and fighting it through the zoning-hearing-board stage, the Court of Common Pleas, and the Pennsylvania Supreme Court, in which a unanimous Pennsylvania Supreme Court granted relief to Steve’s client. Represented a national electronics communications network in five-year litigation with five separate cases in Florida and Philadelphia regarding a protracted contractual dispute, including securities law. Successfully defeated a national corporation in the OSB antitrust litigation in Federal Court in Philadelphia.